In my late 20’s I decided a college education would be a good thing especially when raising a family with two young daughters. Having a natural aptitude for Math, I went back to school for a degree in Math and Physics but discovered my future was in Computer Science. Technically, the terminal above left was connected to my first computer. 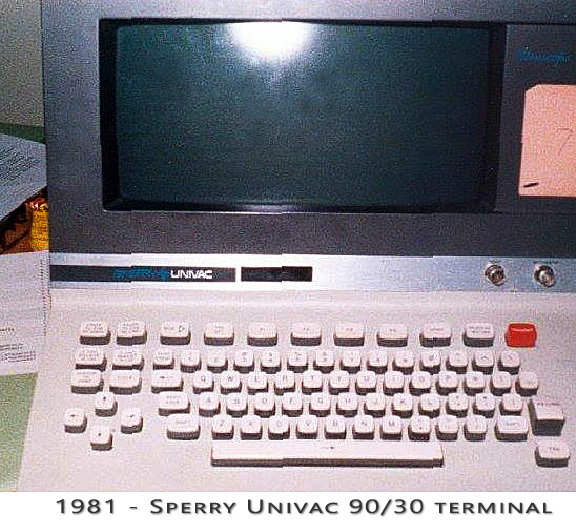 It was a Sperry Univac 90/30 and ran in the computer labs at the College of St. Rose in Albany, New York. Thankfully, the system provided these fairly smart terminals and only once, while taking a summer course, did I ever have to program using punch-cards. I never would have had the patience needed to code a program to cards and then submit it to see if it worked correctly. My first programming language was BASIC which was an ideal choice. My 2nd language was Fortran which turned out to be useful in my studies. When I found “The Fortran Coloring Book” it was obvious I was in the right profession. I knew for sure I when I noticed computers were being sold in the Sears Christmas Wish Book. I spent a long day, talking to sales people, deciding between an Atari 800 and the Commodore Vic-20. When I found out I needed to purchase a cartridge before I could do anything on the Atari my decision was made. I arrived at a local Montgomery Wards mall store as they were unboxing Vic-20 computers and setting up the new Commodore display. The store didn't have any of the more affordable tape drives in stock but I didn't care. I programmed my first game that night and as long as I didn't turn off the computer I could play all night. 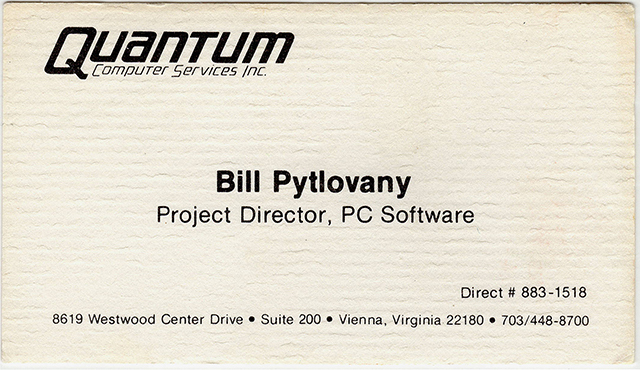 1985: Quantum Computer Services Inc.
After graduation my first job was developing a payroll system for Schenectady County. Most of my co-workers asked how I could program all day and spend my nights on my home computer. I tried to explain that "It's not the same thing." I immediately found that telecomputing provided great opportunities. It wasn't long before I had my programs and tricks published in computer magazines. 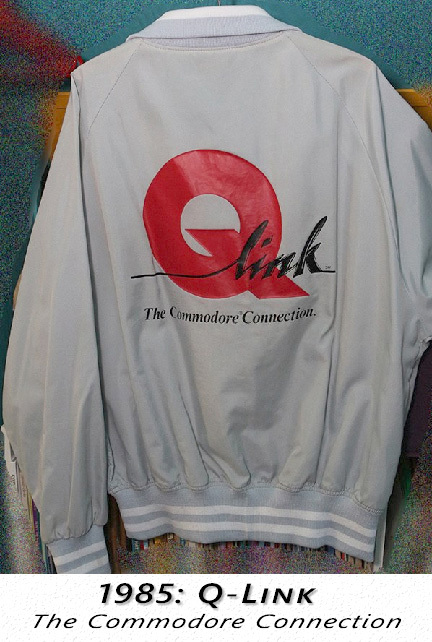 Eventually, I met some good folks who were launching a product for Commodore computers called Q-Link. By the end of 1985 I was packing up a U-Haul trailer headed to Virginia. Stay tuned and I'll be sharing some inside info from the last 25 years since leaving my friends and family at America Online. I'll be digging up what might be interesting from the time I spent working with Capital Cities/ABC including the transition to being part of the Disney family. I'll share my experiences living in Redmond, working with an amazing skunk-works group led by Gabe Newell developing an amazing system called the Information Highway PC. I can share my experience creating utilities for Epson America and tell you the truth about ink cartridges. Every where I went I worked with amazing people. I'm looking forward to telling you about folks at MicroProse, Gateway Computers, Data Stream, MTV, CBS News and maybe some other projects I haven't been able to talk about.